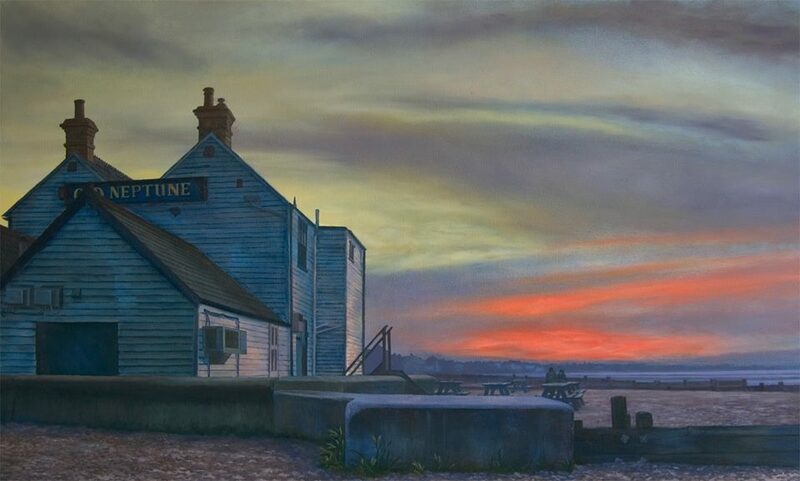 The pictures currently on my site are mostly from a series of paintings about Whitstable, my home town. The town is blessed with beautiful afternoon light, as well as interesting and quirky buildings. I am inspired by other artists from many backgrounds and eras – here are some favourites in no particular order: Edward Hopper, JMW Turner, John Millais, David Hockney, Jenny Savile, Piet Mondrian, Claude Monet, John Constable, Lucian Freud, John Atkinson Grimshaw – I could add many others, mostly working in figurative styles. I am happy to consider commissions for paintings; prices would be comparable to work listed on my site of a similar size and complexity.